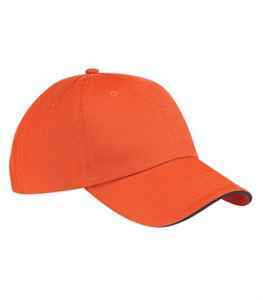 Simple yet stylish, this 100% cotton customized cap features a contrast colour brim tip to complement any logo. Make your logo stand out with this custom cap featuring a contrast colour brim tip. This 100% cotton 6-panel, mid-profile custom cap features a Velcro closure for the perfect fit and a fashion curved bill.